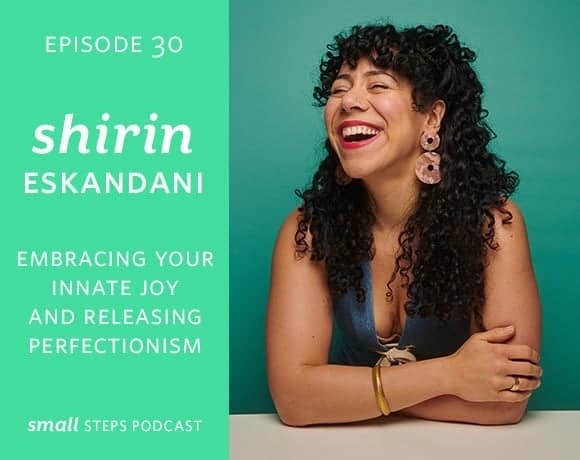 Shirin is a life coach, public speaker and writer who specializes in mindfulness and mindset work. She has been a featured wellness expert on the Today Show and Cosmopolitan Magazine. Certified by the International Coach Federation, her holistic approach to transformation is influenced by her background in guided meditation, spirituality and the arts. Prior to building her successful coaching business she was an award winning opera singer, performing at Carnegie Hall and The Metropolitan Opera. She is the co-founder of Brown Girl Brunch and has collaborated with companies including the Assemblage, Soho House, Maha Rose, 109 World, and Splendid Spoon. What can you savor, celebrate and enjoy about your day? Ask yourself if the worry is true? Is it absolutely true? Previous Post: « Should You Jump on the Latest Trend?